81.46 acre land just outside of Pittsville city limits. Property adjoins Pittsville city limits with MLS# 502745. Both MLS#'s 1000863578 and 1000863694 must be sold together. Combined total price $260,000. 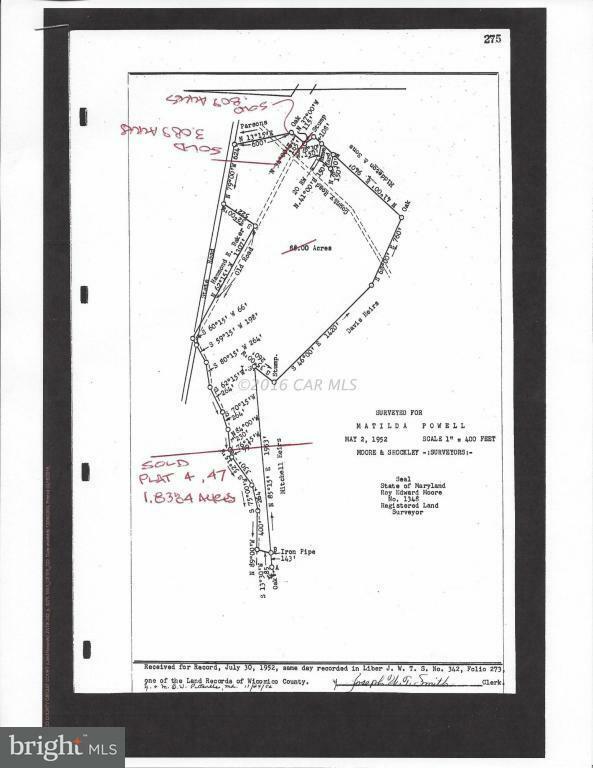 Total combined acreage 83.48 with over 2000 feet of road frontage on Main Street Extended and Old Ocean City Road. Property mostly wooded. Power line right of way across property. No improvements. Lots of potential.